We’ve added a new page to the blog! It’s a page that contains some of the rides we’ve taken and they’re in GPS format so that you can download them if you like. You can download them even if you just want a closer look at the route! The files are in GPX (GPS exchange) format to make them compatible with as many GPS units as possible. You find the page by clicking on the tab for “GPS File” in the menu above and to the right or you can just follow this link. 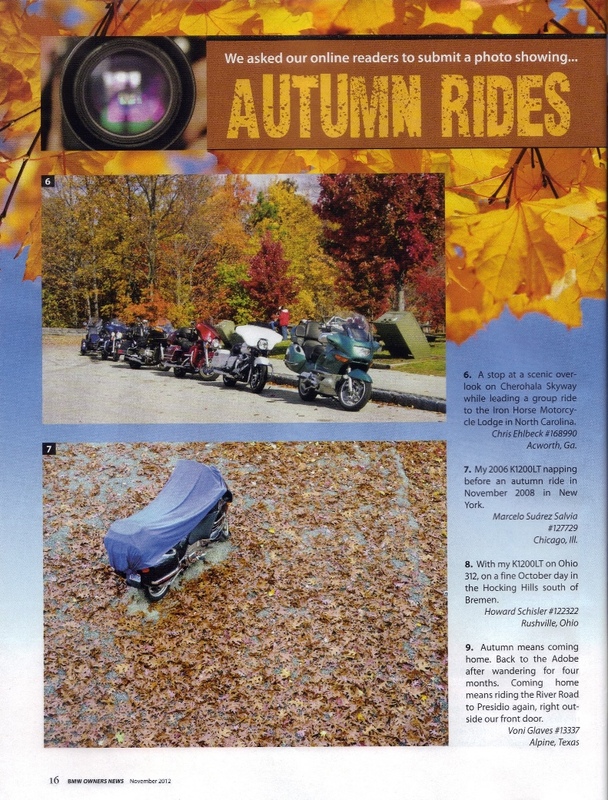 Back in June I had a picture published in the magazine, BMW Owners News (the BMWMOA‘s monthly magazine). Well lightning has struck again! A few months back the magazine asked for pictures with the subject of “Autumn Rides” and I sent in another picture. I had another picture selected! 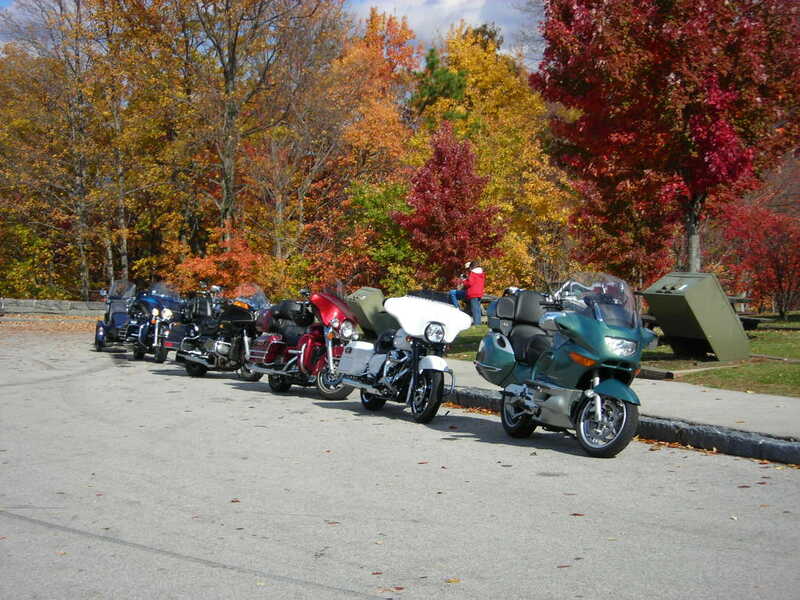 The picture is from a trip with my Blue Knights Chapter taken on the Cherohala Skyway while on an overnight trip to the Iron Horse Motorcycle Lodge in Stecoah, NC in late October of 2011. The picture is photo #6 on page 16 the November issue of BMW ON. I think it’s interesting that the magazine came today and in the morning, we’re headed up to the Iron Horse on our annual overnight trip again! The top picture is mine published in the November BMW ON magazine. 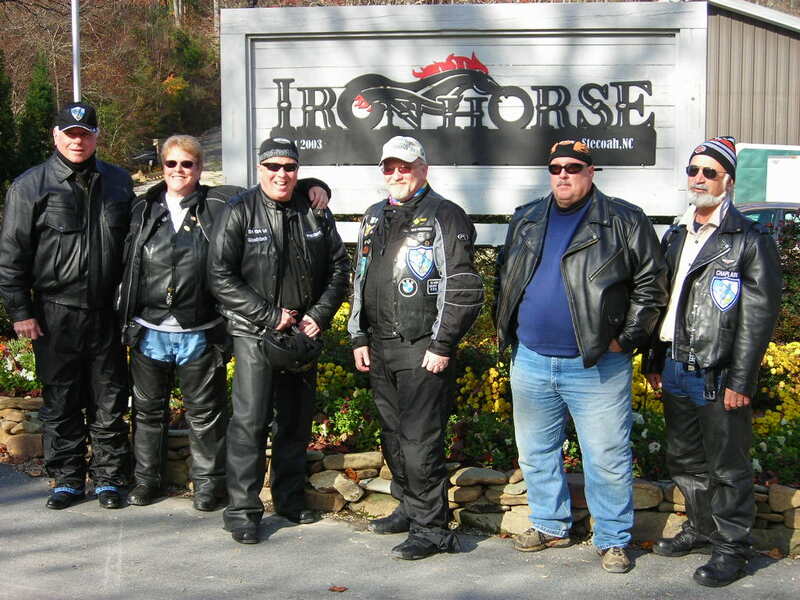 This weekend we rode with members of my Blue Knights Chapter to the Iron Horse Motorcycle Lodge in Stecoah, NC for an overnight stay. 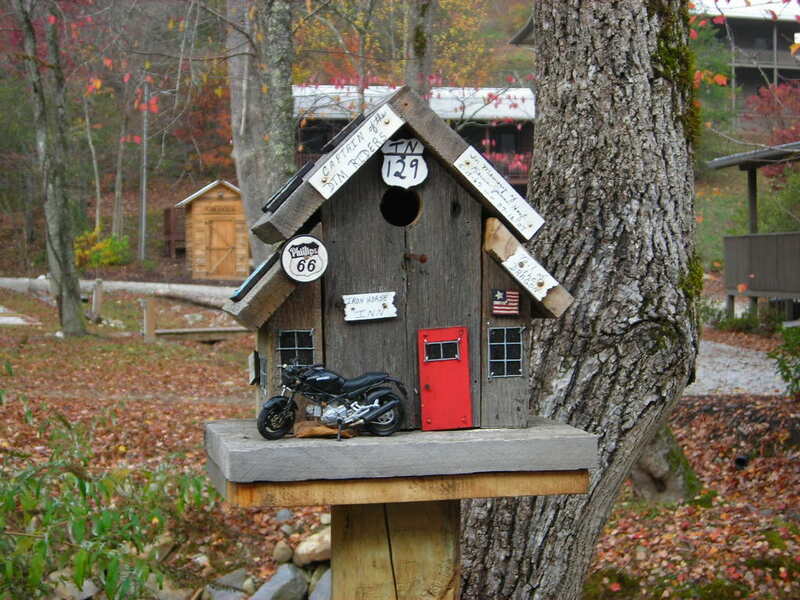 We met in Canton, GA to head up to the lodge, riding on the Cherohala Skyway along the way. 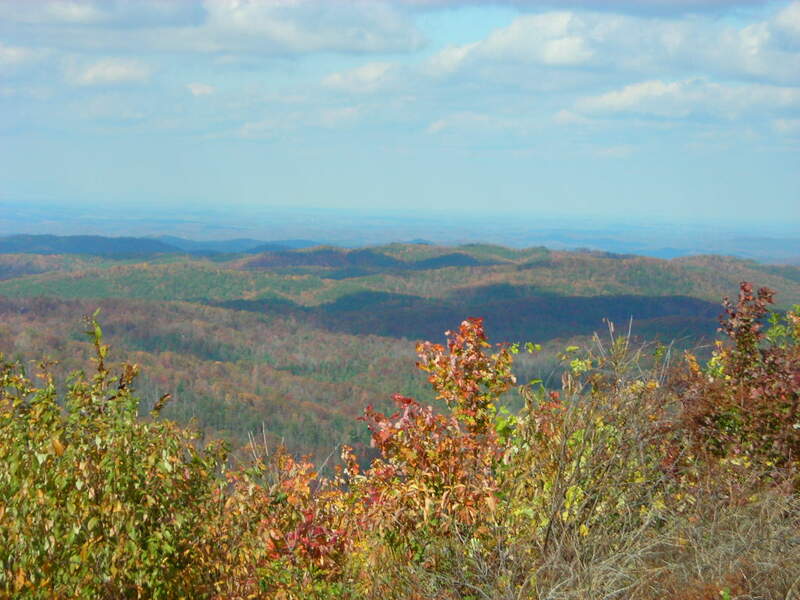 The Cherohala Skyway is also know as the “Mile High Legend”. We knew the weather was forecast to be clear but “brisk”. Most of our trip on Saturday had temperatures in the mid to upper 40’s and even flirting with a bit above 50 degrees briefly but all with clear skies. Donna and I were on our BMW K1200LT and were leading our group of 5 assorted Harley Davidsons (one with a side car), a Honda Goldwing and a Suzuki Cavalcade (yes a Cavalcade!) We started on the Cherohala Skyway on the Tennessee end, heading for North Carolina. The skyway, like back at home had rain the evening before. 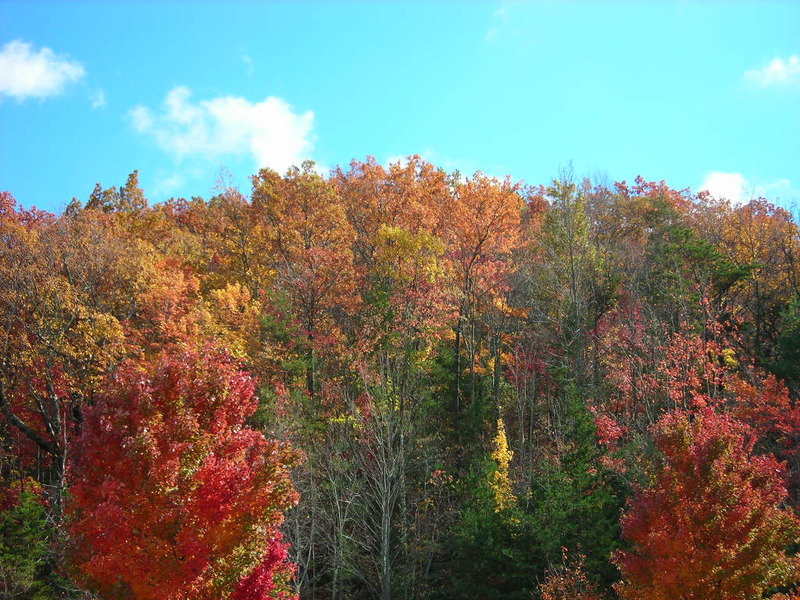 The fall colors were at their peak for this trip with lots of gold, orange and red leaves. There’s just something about being out in the cool air, riding along a river and seeing things like that. I really do think you miss some of it when in a car. After a stop at a scenic overlook, we noticed snow-capped mountain tops in the distance. When we got near the highest point on the skyway we began to notice ice in the trees but the road was bone dry. Then a little further we noticed a light dusting of snow on the side of the road and in the woods but the road was still bone dry. My fingertips were beginning to get bit cold. I looked down at the thermometer on the computer display and it was 33 degrees. It was time to turn on the heated handgrips! Also at that altitude, there were no more leaves on the trees, it was all gray. 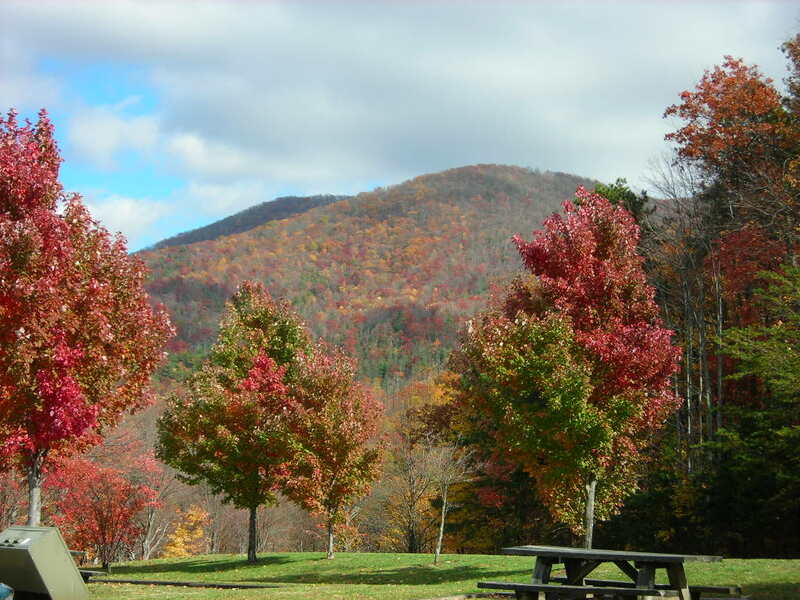 As we descended towards Robbinsville, NC, the temperature began to rise again and the fall colors and leaves returned. The Iron Horse is a motorcycle only facility. 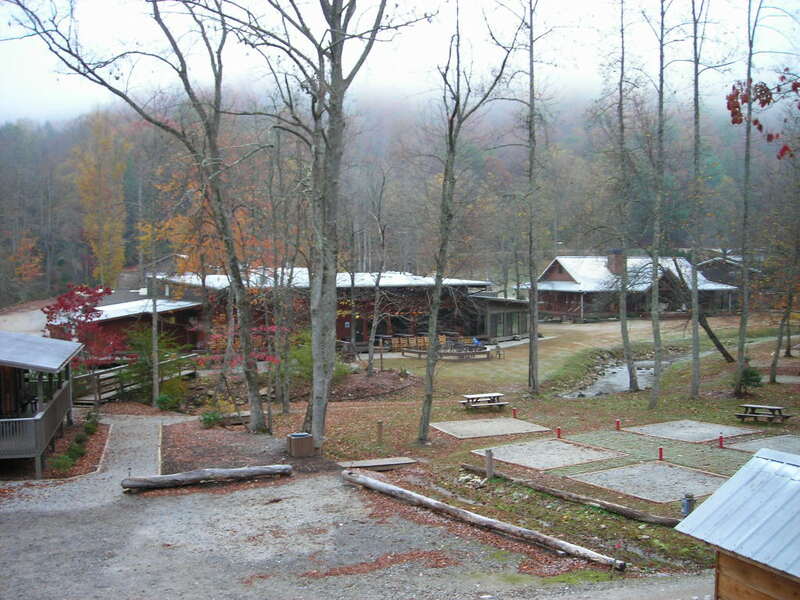 They have tent camping, camper & RV sites, bunkhouses, semi-private cabins rooms (shared bathroom), private cabin rooms and entire cabins to stay in. Donna and I had a private cabin room that overlooked the grounds. We rested and enjoyed a nice dinner served up by the Iron Horse staff. After dinner it was off to the community campfire to warm ourselves, swap stories and meet new friends. On Sunday morning when we awoke it was a chilly 29 degrees. It was off to breakfast before packing up to leave. I lead our group back down towards Georgia taking a different route. Once in Georgia we stayed on US Highway 129, enjoying the curves of Blood Mountain while heading to Dahlonega for lunch. After lunch we all headed our separate ways towards home. At the end of this trip the odometer on the motorcycle now reads 62,142 miles. She’s getting broken in! I’ve added a few of the photos from the trip below. The whole photo album can be seen on my SkyDrive here. In the morning we’ll be meeting members from my Blue Knights Chapter and we’ll head up to the Iron Horse Motorcycle Lodge for an overnight stay. 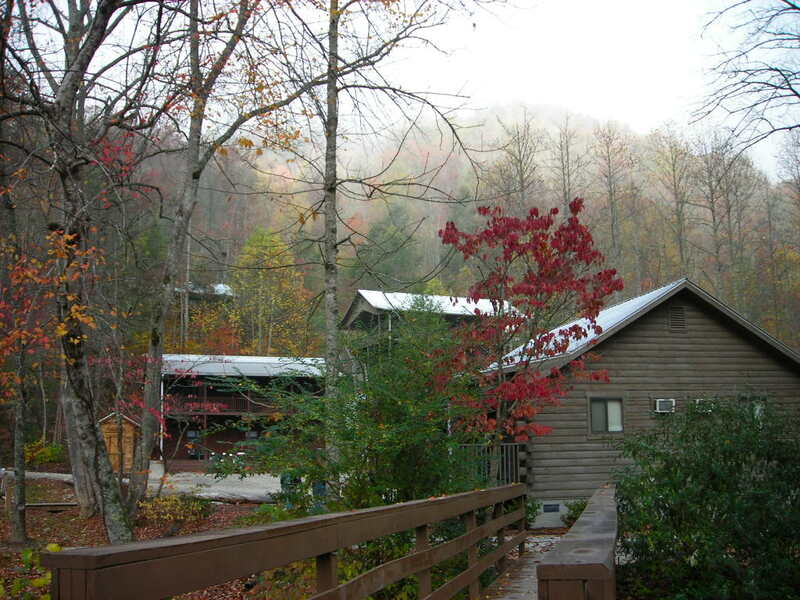 I’ll be leading them on trip there along the Cherohala Skyway. It may be a chilly ride in the morning but that’s what good riding gear is for. It does look like we’ll have two good days of riding weather! Time to start packing and load up so all we have to do in the morning is get on and go.